Sound Quality Analyzer conducts Fluctuation Strength Analysis on audio WAV files. Fluctuation strength is a measure of slow modulations to the time waveform. Uses my describe a regular pattern of slow pulsations to the sound. Fluctuation strength can be very annoying in most product sounds. 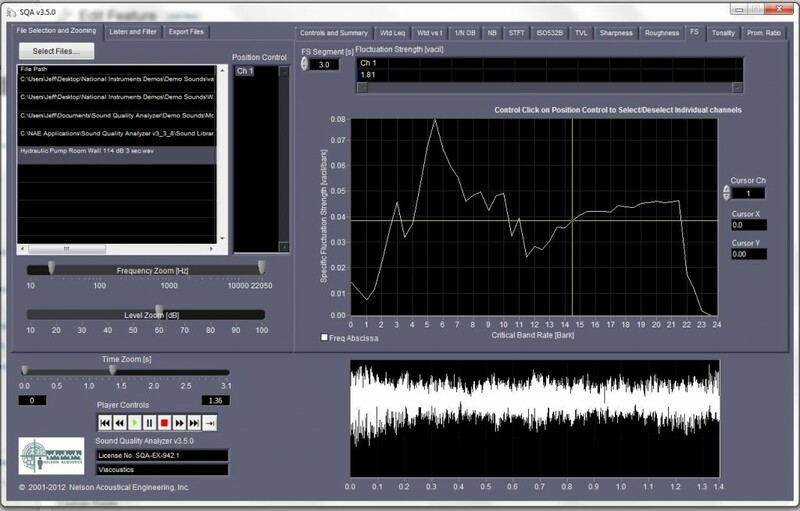 Flucuation strength may be used to create a signal that purposefully gets a listeners attention, such as in an alarm signal.